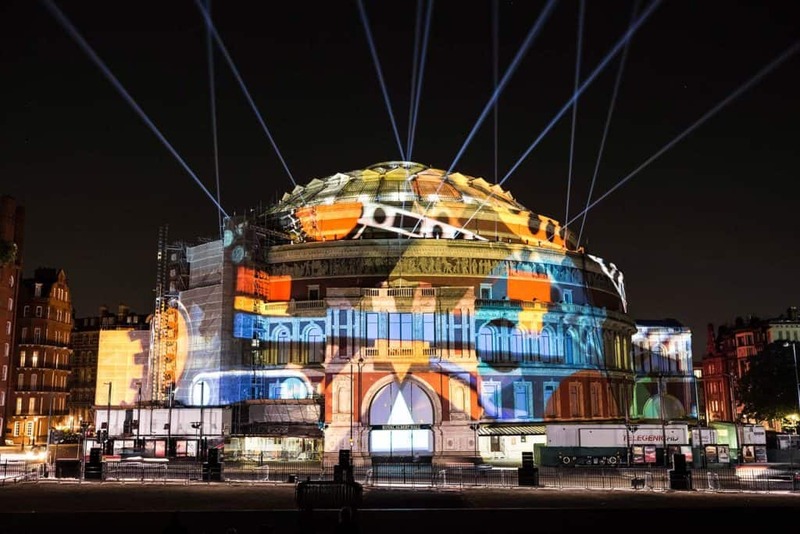 Once again 59 Productions were commissioned by Edinburgh International Festival to produce Five Telegrams, another projection mapping experience for the opening night of the EIF. The 4th year they have done so, and arguably the best year yet. The piece was jointly commissioned by the BBC Proms and featured new music from Anna Meredith, performed by the BBC Symphony Orchestra. Inspired by the communication infrastructure of the First World War with involvement from 14-18 Now, and in collaboration with students from the ECA to celebrate the Year of Young People 2018, it was a unique meld of music, performance, and projected visuals. Previous years have taken us to Edinburgh Castle and St Andrews square. This event saw a return to the Usher Hall, where the first opening event of this kind (The Harmonium Project) took place in 2015. The choice to return here was possibly driven by the similarity to the Royal Albert Hall in London, where the piece was also shown with live music from within, for the opening night for the BBC Proms. Stampede was glad to see the return to Usher Hall, a building and space that works well for large-scale projection mapping. The format of five distinct parts also added to the strength of the piece. Each part had a wonderful individuality that would have been difficult to replicate in a single piece, and the pause between each part allowed time for viewers to digest what they had seen, reflect and breathe before the next. What Next for the Opening Night? This event marks the final year of the three-year residency for 59 Productions as Artistic Associates at the Edinburgh International Festival. It will be interesting to see what will happen to the opening night now their residency has finished. Although it’s possible we could see a return for 59 Productions, it probably is time for another company to step up and see what they can do with such a prestigious platform to present their work. Who knows if projection mapping will still be the main event, but here’s hoping that animation will play a part. Interested in Scottish Animation? Why not check out Move Summit: Scotland’s annual commercial animation event.